An Aby Concert Not to be Missed! 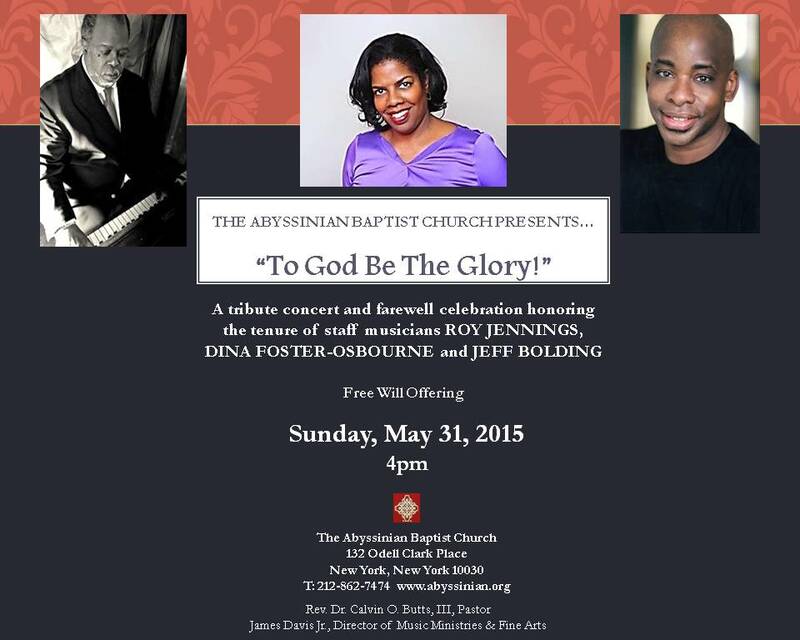 Join us on May 31, 2015 for a Special Tribute! Please join us as we celebrate the music and honor the tenure of staff musicians Roy Jennings, Dina Foster-Osbourne and Jeff Bolding. Singers will sing, instrumentalists will play and the Spirit of the Lord will surely be present. 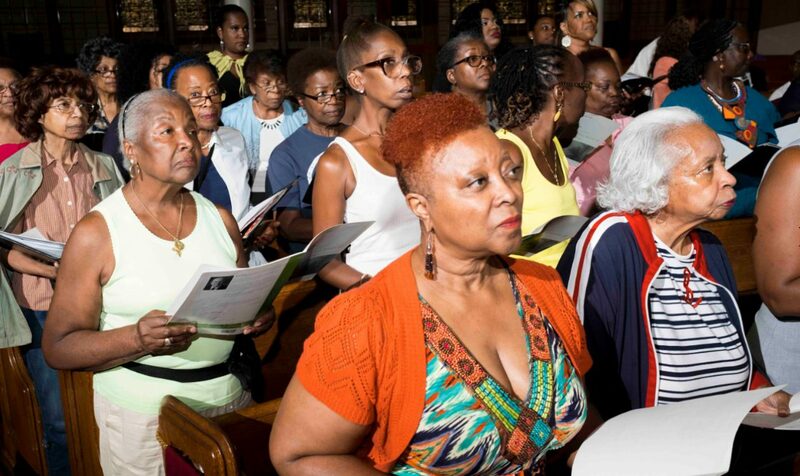 Meet us in worship as we recognize these artists’ vast, distinctive, individual and collaborative contributions to the Abyssinian Music Ministry and to the Harlem Community.